Bybel Rutledge LLP is pleased to announce that Eric L. Brossman has joined the firm as a Partner. Mr. Brossman is nationally recognized for his representation of banks and creditors in workouts and complex commercial loan transactions. The addition of Mr. Brossman will expand our banking and business law practice areas and continue our focus and efforts to become Central Pennsylvania’s premiere banking and business law firm. For the eighth consecutive year Bybel Rutledge LLP has been designated as a 2019 “Best Law Firms” in Pennsylvania by U.S. News & World Report in the areas of Corporate Law, Financial Services Regulation Law, Mergers & Acquisitions Law, Securities/Capital Markets Law, Securities Regulation, Banking and Finance Law, and Commercial Litigation. The Partners of Bybel Rutledge LLP are honored once again to receive this designation. 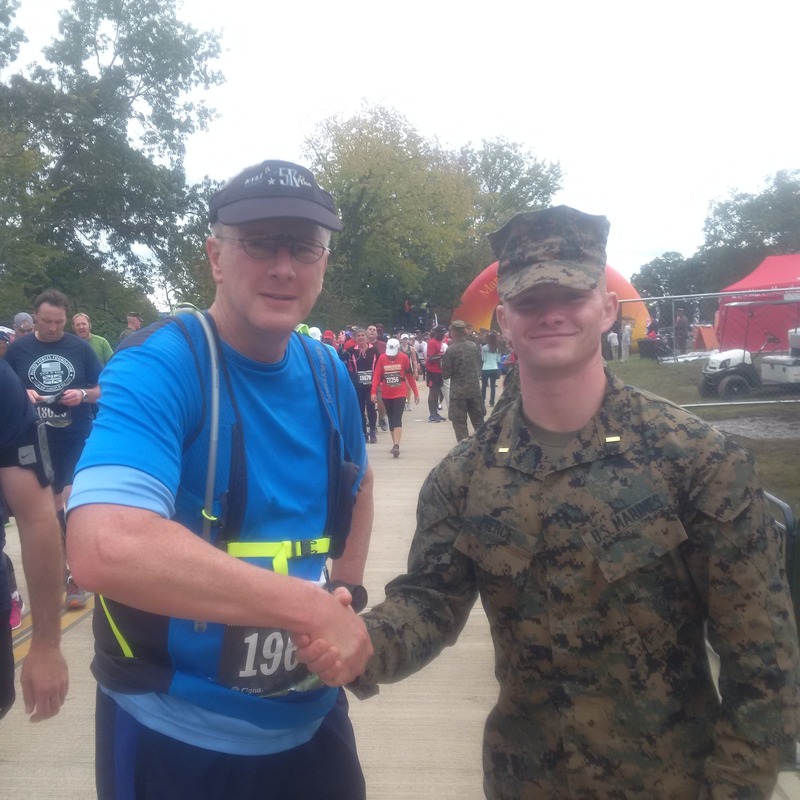 Nicholas Bybel, Jr., founding partner, competed and officially finished the 43rd Marine Corp Marathon ("MCM") sponsored by the Marine Corp Foundation on October 28, 2018 in Washington, DC. The MCM is one of the largest marathons in the US and World and stands as the largest marathon that doesn’t offer prize money. The MCM has been nicknamed "The People’s Marathon." Full slate of speaking engagements for Bybel Rutledge LLP in November! Phil Rutledge and Catherine Walters each presented at the Pennsylvania Bar Institute’s Business Lawyers Institute in Philadelphia. Catherine spoke on the #metoo Movement and Employer’s Responses One Year Later while Phil addressed Securities/Initial Coin Offerings. Catherine Walters was featured at the Central Pennsylvania Business Journal’s Human Resource Seminar in Manheim, Pennsylvania and she presented at the HIPAA Privacy and Security Summit 2018 at Widener Delaware School of Law. Carter Frantz spoke at the Pa Bankers Wealth Management and Trust Conference and the Pennsylvania Bankers Lending Conference, both in Hershey. Last but certainly not least, the firm held its annual SEC Seminar in Hershey with presentations by Nick Bybel, Phil Rutledge, Erik Gerhard, Renee Lieux and Catherine Walters. New this year was a Human Resources Best Practices program during the morning session. Bybel Rutledge LLP is pleased to announce that Catherine E. Walters has joined the firm as a partner and co-chair of the Firm’s Employment/Labor Law Group. Ms. Walters is nationally recognized for her representation of business clients on employment and labor law matters. With the addition of Ms. Walters it will enhance the Firm’s strategic initiative of diversifying our practice areas and expand our legal service offerings for our financial institution and corporate/business clients. Nicholas Bybel, Jr. and G. Philip Rutledge have been selected by their peers for inclusion in The Best Lawyers in America® 2018 in the categories of Banking and Finance Law, Commercial Litigation, Corporate Law, Mergers & Acquisitions Law, and Securities / Capital Markets Law. Best Lawyers® has become universally regarded as the definitive guide to legal excellence. Messrs. Bybel and Rutledge feel honored to be named once again to The Best Lawyers in America® 2018 by their legal peers for being the top in their respective fields. For a seventh consecutive year Bybel Rutledge LLP has been designated as a 2018 "Best Law Firms" in Pennsylvania by U.S. News & World Report in the areas of Corporate Law, Financial Services Regulation Law, Mergers & Acquisitions Law, Securities/Capital Markets Law, Securities Regulation, Banking and Finance Law, and Commercial Litigation. The Partners of Bybel Rutledge LLP are honored once again to receive this designation. G. Philip Rutledge has once again been awarded the 2017 Outstanding Reviewer Award for his contributions to the Journal of Financial Crime for the second year in a row. The Journal publishes articles by some of the leading international scholars and practitioners of criminology, economics, criminal justice and compliance, and which provide practical and detailed insight into top issues relating to the control and prevention of financial crime and abuse. Nicholas Bybel, Jr. and G. Philip Rutledge have been selected by their peers for inclusion in The Best Lawyers in America® 2017 in the categories of Corporate Law, Securities / Capital Markets Law, Banking and Finance Law, Commercial Litigation and Mergers & Acquisitions Law. Best Lawyers® has become universally regarded as the definitive guide to legal excellence. Messrs. Bybel and Rutledge feel honored to be named once again to The Best Lawyers in American® 2017 by their legal peers for being the top in their respective fields. Erik Gerhard and Renee Lieux have been named Local Legal Leaders by Harrisburg Magazine. Erik Gerhard (Business/Commercial Law) and Renee Lieux (Business/Commercial Law) (Contracts Law and General Civil Litigation) have been named Select Lawyers of the Susquehanna Valley by Susquehanna Style Magazine. Nicholas Bybel, Jr. and G. Philip Rutledge have been selected by their peers for inclusion in The Best Lawyers in America® 2016 for the sixth, consecutive year, in the categories of Commercial Litigation, Corporate Law, Litigation – Securities, Securities / Capital Markets Law and Securities Regulation. Best Lawyers® has become universally regarded as the definitive guide to legal excellence. Messrs. Bybel and Rutledge feel honored to be named once again to The Best Lawyers in American® 2016 by their legal peers for being the top in their respective fields. G. Philip Rutledge has been awarded the 2016 Outstanding Reviewer Award for his contributions to the Journal of Financial Crime. The Journal publishes articles by some of the leading international scholars and practitioners of criminology, economics, criminal justice and compliance, and which provide practical and detailed insight into top issues relating to the control and prevention of financial crime and abuse. Partner Nicholas Bybel, Jr. has been named a Select Lawyer in Business/Commercial Law. Partner Erik Gerhard has been named a Select Lawyer in Business/Commercial Law and Contracts Law. Partner G. Philip Rutledge has been named a Select Lawyer in Business/Commercial Law. For a fifth consecutive year Bybel Rutledge LLP has been designated as a 2016 "Best Law Firms" in Pennsylvania by U.S. News & World Report in the areas of Banking and Finance Law, Financial Services Regulation Law, Commercial Litigation, Corporate Law, Securities/Capital Markets Law and Securities Regulation. The Partners of Bybel Rutledge LLP are honored once again to receive this designation. Partner L. Renée Lieux has been selected for the second consecutive year to the Pennsylvania Super Lawyer® list for Employment Law. Each year no more than five percent of the lawyers in the state are selected by Super Lawyer® to receive this honor. Partner L. Renée Lieux has been named a Select Lawyer in Business/Commercial Law, Commercial Litigation and Labor & Employment Law. For a fourth consecutive year Bybel Rutledge LLP has been designated as a 2014-2015 "Best Law Firms" in Pennsylvania by U.S. News & World Report in the areas of Banking and Finance Law, Commercial Litigation, Corporate Law, Securities/Capital Markets Law and Securities Regulation. The Partners of Bybel Rutledge LLP are honored once again to receive this designation. G. Philip Rutledge has been appointed Visiting Professor of Securities Law and Regulation" at BPP University Law School, London, England where he will be lecturing in its Degree Program for Masters of Law in Financial Regulation. While in the UK, he also will be undertaking lectures at the University of Cambridge. For a third consecutive year Bybel Rutledge LLP has been designated as a 2013-2014 "Best Law Firms" in Pennsylvania by U.S. News & World Report in the areas of Banking and Finance Law, Corporate Law, Financial Services Regulation Law, Securities/Capital Markets Law and Securities Regulation. The Partners of Bybel Rutledge LLP feel honored to receive this designation once again. Nicholas Bybel, Jr. and G. Philip Rutledge have been selected by their peers for inclusion in The Best Lawyers in America® 2013 for a third consecutive year. Best Lawyers® has become universally regarded as the definitive guide to legal excellence. Bybel and Rutledge feel honored to be named once again to The Best Lawyers In America® 2013 by their legal peers for being the top in their respective fields.